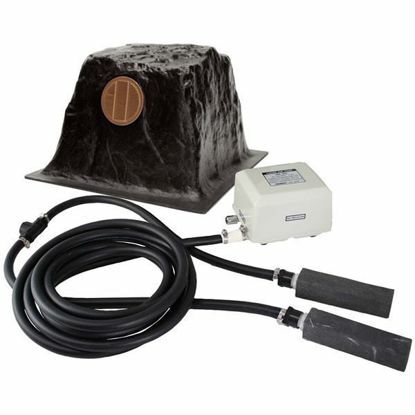 The Koi Pond Aeration Kit AKIT-10000 is for koi ponds up to 8,000 gallons. Includes Hakko 100L Air Pump, 2 - 30 feet 3/8 inch weighted air tubing, 4 - 9 inch Alumina Air Stones, and Econo rock cover. Koi Pond Aeration Kit for koi ponds up to 1500 gallons. Includes Matala 25LP air pump, 20 feet 3/8 inch weighted air tubing, and 2 - 6 inch alumina air stones. The Koi Pond Aeration Kit AKIT-3000 is for koi ponds up to 3,000 gallons. Includes Matala 40LP air Pump, 20 feet 3/8 inch weighted air tubing, 2 - 9 inch Alumina Air Stones, and Econo rock cover. 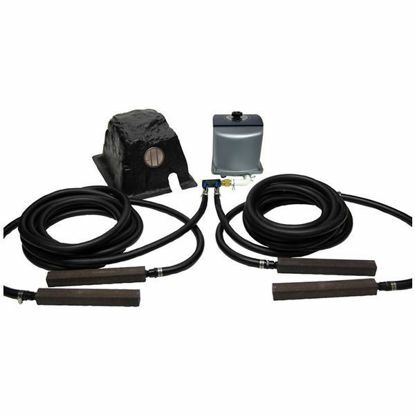 The Koi Pond Aeration Kit AKIT-8000 is for koi ponds up to 8,000 gallons. 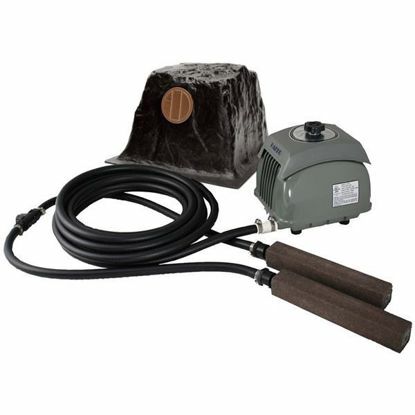 Includes Hakko 80L Air Pump, 2 - 30 feet 3/8 inch weighted air tubing, 4 - 6 inch Alumina Air Stones, and Econo rock cover. 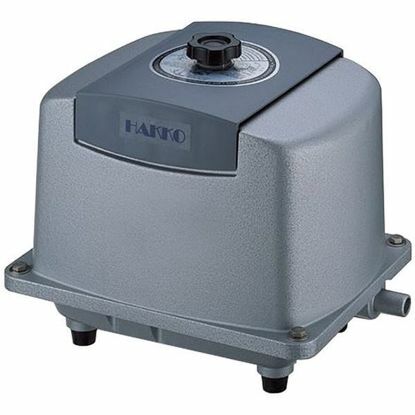 The Hakko HK-100 Linear air pump represents a top of the line Linear Air Compressor with 3 year warranty. It is suitable for koi ponds up to 10,000 gallons.